We are proud to announce the official Rocketdyne Cleanup Coalition website. 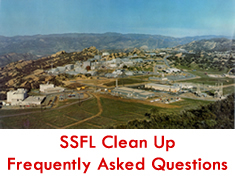 The Rocketdyne Cleanup Coalition, or RCC, is a community-based alliance of organizations and individuals dedicated to the cleanup of the Santa Susana Field Laboratory (SSFL), commonly known as Rocketdyne. We’ve been active since 1989 and are going strong.